Recently, I managed a client control panel that was hosted on Vesta Cpanel. Being a newbie to the platform, I had some issues adapting to the system and getting to know my way around it. I tried checking online for tutorial and didn’t actually find much or even video tutorials to help solve my problems. The Vesta cp forum was quite helpful though, but I had to do a lot of trial and error to get most of the problem fixed. The steps below helped me on how to add a subdomain on Vesta cp. 1. Log into your Vesta CP. under the Web tab, -> Click Add Web Domain. 2. 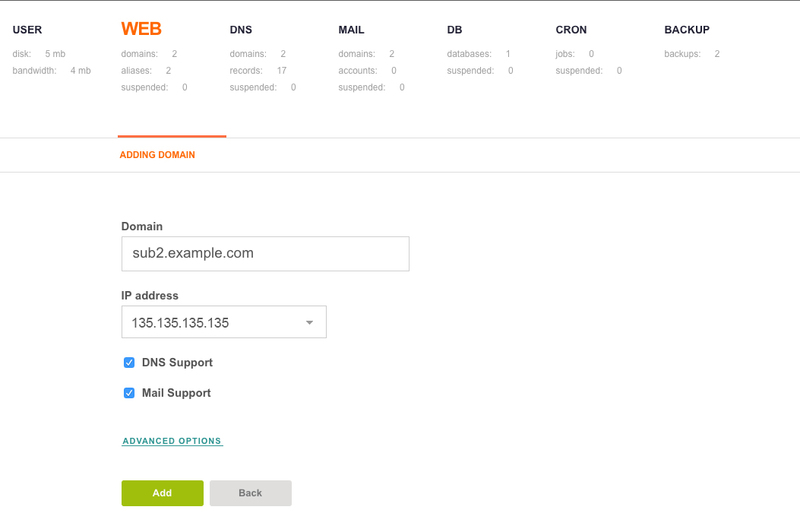 Enter in the subdomain you want to use (sub2.example.com), select the IP address (eg. 135.135.135.135), then add. 3. Log into your DNS. 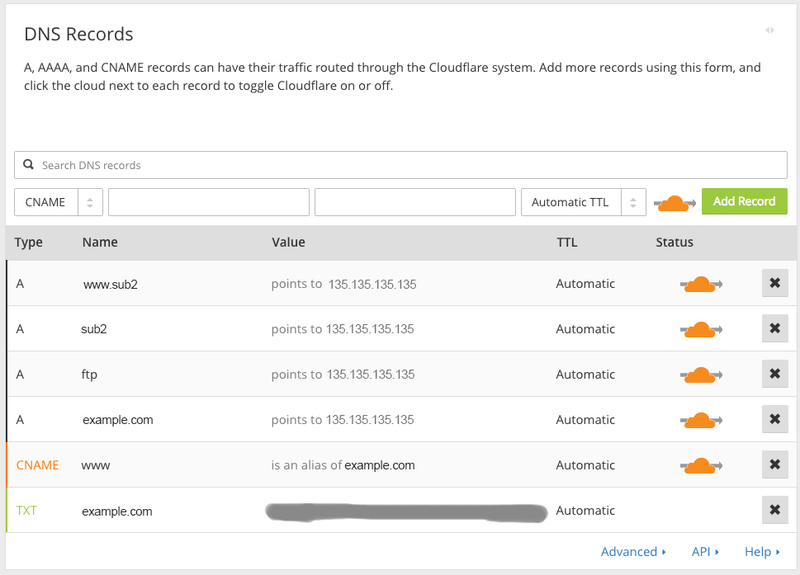 I use Cloudflare for my DNS. Just add the following records under the root domain (example.com). Very clear , thank you !